At least 20 people were detained for their previous money deposits into Bank Asya, as part of an investigation into the Gulen movement on Wednesday. 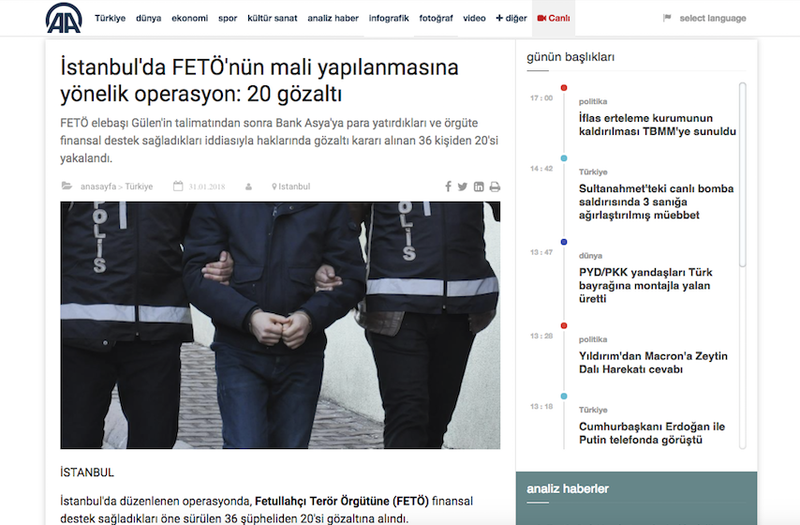 An Istanbul prosecutor issued detention warrants for 36 people who are accused of having sold off their belongings to create funds for Bank Asya, the movement’s lender which was later confiscated by the government, at the alleged request of the movement itself. 20 people were detained while police were seeking the remaining 16 at the time of this writing. The suspects face the charges of financial support for a terror group. Turkish government blames Gulenists for the July 15, 2016 coup attempt and considers them terrorist while the group denies involvement and reject terror accusations. More than 150,000 people have passed through police custody over Gulen links since the summer of 2016.